My favorite boy toy loves mushrooms. He’ll eat them any way he can find them from fresh to canned to dried. Me, I don’t like mushrooms. I don’t like the flavor and I don’t like the texture. I don’t mind a few dried mushrooms in stews to give some flavor, but other than that, no thanks. Mushrooms are a European thing, so it’s funny that he likes them and I don’t. I’m the granddaughter of an immigrant; he has no idea when his family came over or even when they’re from. My grandfather used to get very frustrated that I not only disliked mushrooms, but wouldn’t even try them after a while. With all the recent rain, we have a lot of mushrooms growing in our yard. We don’t eat them – we have no idea if they are edible or not. 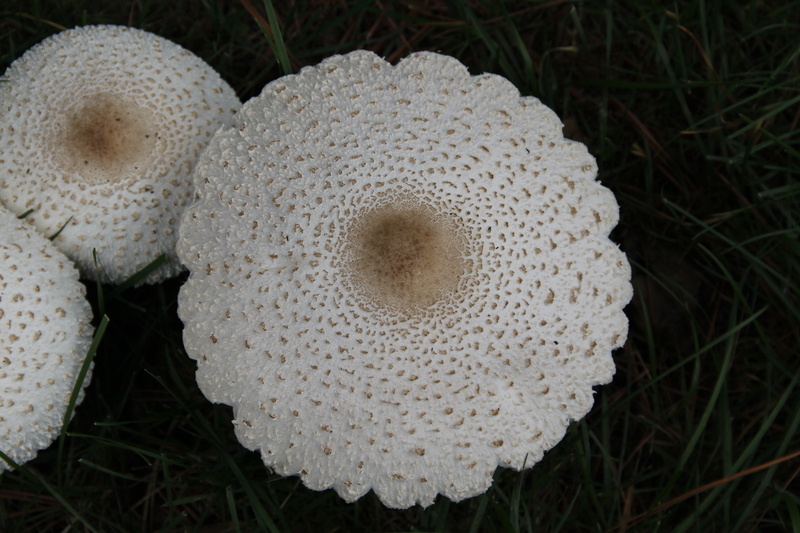 One of them could be characterized as “mellow” as it’s a common white mushroom with some brown flecks. 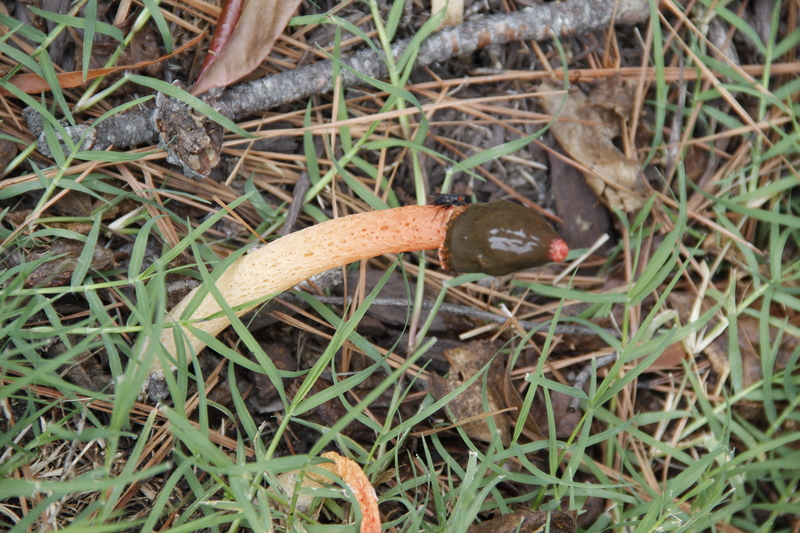 The other is definitely gross though and is known as an elegant stinkhorn. It smells, attracts flies and is slimey. Mushrooms are definitely a personal taste thing. I don’t like them in food, but I find them fascinating to discover in our yard or the woods. Word for tomorrow – SUPPORT. If you prefer to work ahead, see the list for the week under “A Word A Day”.